IMPORTANT!! PLEASE sign up for ournewsletters. This is our way of getting information out to you in quick and efficient manner. Reminder to all motorists- the speed limit through the construction zone has been reduced to 15mph per the Brandon Select Board. This will be heavily enforced as a safety precaution for motorists, pedestrians and workers! All fines are doubled in the construction zone- speeding, texting etc. Please be aware, alert and polite to your fellow motorists. Also remember when stopped in traffic to leave space at all business entrances and side roads. Installation of drainage adjacent to Stormwater Treatment Structure No. 1 located at 43 Franklin Street and No. 2 across from former Mobil Station. Maintenance of erosion control measures, should areas be identified following review. Continued equipment / manpower mobilization. Continued saw cutting of existing roadbed materials. Initiation of roadway widening along US Rte. 7 for maintenance to traffic during construction. Initiation drainage headwalls’ construction near the former Mobil Station. Installation of sewer crossing adjacent to the former Mobil Station. Construction of new retaining wall adjacent to 8 Conant Square across from the former Mobil station. Continued installation of temporary water US Rte. 7, (High Street North). Continued utilities’ improvements within West Seminary Street. Continued sidewalk preparations and installation beginning North across from Champlain Farms extending South. Vehicular and pedestrian traffic control as required. The water shut down will not take place on Wednesday, April 3rd. The date to be determined after finding a cluster of utilities that have slowed down the water line installation. I will inform everyone when we have a better idea of time associated with the shut down. SOME GOOD NEWS ! Fewer homes will be affected by this shut down! The road will continue to be closed with a detour to Prospect St.
West Seminary detour will start Tuesday, April 2nd and be closed for the week. The water will be shut down on Wednesday and I will post the time frame here on Brandon Builds after Casella does their exploratory dig on Tuesday. Please plan accordingly for this water shut down. Starting Monday, April 1st the work at the bottom of, and partway up, West Seminary Street is slated to take place. Residents in the neighborhood should look to alternative routes to Rte 7 during this time. Estimated time of work at this location is 6-8 weeks. Length of construction in the area may depend on how much rock they run into. You can access the Heritage Family Credit Union branch and Sister Wicked gift shop by going up Prospect Street, over Cedar and Walnut Streets, and coming back down West Seminary Street during this time. West Seminary Street will always be available to foot traffic from the village center. Temporary water switch over will also start April 1st. Starting at High and Franklin Streets and working north. There will need to be a water shut down in 2-3 weeks. PLEASE watch here for info on the shut downs so you can be prepared. This donation was made possible by Nifty Thrifty’s many volunteers, donors and shoppers. Central Park- Intersections of Franklin, Park, Carver, Union and Center Streets. Farmer’s Market is held every Friday from 9:00am to 2:00pm at Estabrook Park!! Come up and see all they have to offer! Come on down and poke around, enjoy our town! Even though access is always available to all of Brandon’s businesses throughout the week and through all of the construction, it’s a little easier and little calmer on Saturday and Sunday. Pop in and meet your friends and help support Brandon businesses. what to expect from construction activities near your home or business..
Click on the link below for a color rendition of the project that will allow you to zoom in on areas of interest. Move your mouse to the lower right corner and the zoom tools will appear. This a very LARGE file so be patient at it loads. Flaggers for the Segment 6 construction project have reported multiple close calls with drivers who were texting or talking on their phones. Besides being illegal, this is very dangerous! Flaggers will note license plates and Brandon police will increase enforcement during the entire 3 year project. Unless hands-free, the fine for phone use while driving is $250.00 which is doubled in work zones to $500.00!! Please keep yourselves and the workers safe and stay off your phones in work zones! Casella Construction, Inc. is hiring for many professional and craft positions for the 2018 and 2019 construction seasons, including a surveyor, construction foreman, heavy equipment mechanic, heavy equipment operators, pipe layers, skilled construction laborers, and general laborers. Casella Construction employees are hard-working, focused on safety, and driven to deliver excellent results. We are motivated by the strength and dedication of our team and by the intrinsic value of spending our days building for the next generation – we get to see the results of what we do every day. To learn more about our open positions and apply, visit www.CasellaInc.com or call 802-773-0052. Casella Construction, Inc. is an equal opportunity employer. Brandon, Vermont is more than 250 years old. Let’s face it, at that age, everyone needs a little facelift! Over the next 2 1/2 years, our quintessential Vermont village will be looking at an improved streetscape, new traffic pattern, buried wires, better parking, beautiful parks, modern and safe downtown sidewalks, benches, decorative streetlights, and a 21st century underbelly. The project that has the infamous tag line of “It won’t happen in my lifetime,” is actually here. So, what will it take to get there? Patience. Understanding. Pride. Collaboration. Energy. Inspiration. The first part of our multi-year project was addressing some of the underbelly needs. During Tropical Storm Irene in August, 2011, some damage was done to the town’s waterlines. While we still have the best water in the State of Vermont, there were some underground problems. The 2014 Phase I portion of the project primarily addressed our waterlines. Most of the work took place in our backyards and in the Neshobe River. There was some Route 7 work. So a nice little chunk actually got done early! The Chamber wanted to help make this as painless as possible and used it as a model for dealing with issues we’ll deal with during the larger Segment 6 construction starting now. We had good communication with all the parties involved and things went as smoothly as was possible. And here we go! We look forward to working in the same way with the town officials, Dubois & King Engineering and Casella Construction as we go through this process in a way that is responsive to business and resident concerns, proceeds in a professional and efficient manner and maybe have some fun along the way! Here is a copy of the brochure created to explain much of the project, process and schedule for the next two years. You can also find them in many, many businesses in and around the Brandon Forest Dale area. Watch page three of the Brandon Pittsford Reporter for up to date info on the construction, and also promotions that the Chamber of Commerce and the Downtown Brandon Alliance will be running throughout the project. After the large amount of waterline work that was done during the first months of the segment 6 project, we want to stress again the importance of flushing your waterlines via the bathtub or outdoor faucet. Some folks had issues arise that required repairs, hopefully this information will help you prevent these occurrences. When water is turned off and on and digging and vibration occurs in the area, the decades old galvanized pipes that make up most of the service entries into our homes can have rust and dirt dislodged. This can cause problems with filters, ice makers, furnace apparatus and other things. When new municipal waterlines are installed, before they are hooked to the individual service entrances, they are flushed to clear any sediment that may have gotten into the line. The service entrance from the curb stop into the house is the responsibility of the homeowner. Therefore the need to be diligent in flushing the lines after shutdowns is imperative as the sediment is coming from your own pipes. This may help you avoid potentially costly repairs. We STRONGLY urge you to sign up for our newsletters! Go to Brandonbuilds.com for more info containing project updates, schedules and pictures from Casella Construction and DuBois & King. Advanced notice on planned shutdowns & emergency situations will be issued there. Thanks to Ray Counter for the following helpful information below. What goes into a water main replacement project? Replacing a water main consists of several phases. In the first phase, the contractor will set up traffic control signs and barrels and may partially close the road. Around the same time, the contractor will also saw cut the pavement to make way for the new water main trench. Materials and supplies will also be delivered around the same time, and are typically placed in the curb area or in the greenspace in front of the sidewalk. In the next phase, the contractor will begin actual construction by digging a trench and installing new pipe, valves, and hydrants. Each trench portion is back filled as soon as the new pipe is installed, allowing customers to access their driveways as soon as possible. The new water main is then pressure tested, chlorinated, flushed and bacteriological test performed. This process typically takes about two weeks to complete. Once the new water main has passed its testing, the homes and buildings are then connected onto the new pipe. The final phase is street restoration work, where the contractor will place asphalt or concrete over the trench and open the street up to traffic. The contractor will also restore grass, sidewalk, and other disturbed areas at this time (weather permitting). How will I be affected? Most projects will involve the closing of lanes or roads near the project location; there is a good chance that you will be affected by these closures. Apart from street closures, your water service may also be turned off as the contractor makes water pipe connections, and also as they install new water service tubing to your building. Will I still be able to park in my driveway/parking lot? The contractor will likely close the road to through traffic as the work is being performed. However, you may still be able to drive into the work zone and access your driveway. The contractor will work with you to move equipment as needed should they be blocking your way. However, there may be a time as the contractor is working directly in front of your home or building where your driveway will not be accessible. Please be patient and plan ahead, and do not be afraid to talk to the contractor should they be in your way. How much of the water service will be replaced? What portion of the service is my responsibility? The Fire District owns and maintains the water service from the water main in the street to the curb stop valve, which is typically located a few feet off of the sidewalk/property line. The Fire District will replace this section with new tubing and a new curb stop valve. The remaining portion of the service, from the curb stop valve to the meter in the building, is the responsibility of the property owner. The curb stop valve itself is the responsibility of the Fire District. Will my water be shut off? Will I get notified before the water is shut off? There are three types of water outages. The first type will occur as the contractor makes connections between existing water mains and new water mains. This outage will last for approximately 4 to 6 hours. The Fire District will notify you 1 to 2 days prior to these shutdowns via door-to-door flyers and at times, via electronic newsletters/emails. The second type will occur as each home’s water service tubing is reconnected to the new water main. This will happen to homes and buildings where the new water main crosses directly in front of the property. Expect to be out of water for between 60 and 90 minutes as this work is done. The contractor will knock on your door to notify you before they make the water service connection. The third type will occur when a water main or service has ruptured and an immediate shutdown is required. This can occur during construction because of age of pipe, inaccurate mapping of the system or by accident. Critical customers will be notified before the water is shut off if the situation allows. Notification will be made to others when the situation is under control and an assessment has been made. What do I do if I have low water pressure when the water comes back on? First, unscrew the faucet screens and make sure they are not clogged. Sometimes, sediment from inside the building’s piping breaks loose when the water is turned off and on, and may clog these screens. If the screens are not clogged, and if the low water pressure problem is throughout your building, contact the Fire District at (802)247-3311. What do I do if I have cloudy water after the water is turned back on? Flush cold water out of several faucets at the same time, letting the water run for 10 or 15 minutes. As work continues on Brandon’s Segment 6 construction in our village, we’ve put together this information sheet to make you aware of what you might expect as construction takes place in and around your neighborhood. Work is allowed to start as early as 6:00am, but most often does not start until 6:30-7:00am, and may continue to 8:00pm at night. (This excludes 2018 work on Center Street which will be primarily night work)The only time work may go past the 8:00pm shut down is if a problem or emergency situation is encountered. During construction operations you will encounter engine noise & back-up alarms from the machines, as well as flashing lights, headlights and free standing high intensity floodlights illuminating the work scene during dark hours. There will be loud noises from machines and materials being loaded and unloaded and you may have shaking of your house and objects within during some digging, installation of materials and compacting. Varying numbers of construction workers, flagmen and safety observers will be on scene. Access to and from your home may be compromised during certain work activities, but CCI and D&K employees will always be on scene to assist you with safe options for coming and going. You will also be informed in a timely manner of any significant activity that may require you to make a change in your normal routine. Normal traffic patterns in and around the construction zone may be altered, flagmen will always be on scene to assist with safe and timely traffic control. We hope this information is helpful and answers some of the questions you may have as work proceeds with this important project. Your patience and support is appreciated and we are always available to answer questions or assist in rectifying any issues that may arise. Here are some links to images, project drawings and other information. *Drone flights are being carried out to document the construction along the Route 7 corridor in Brandon, VT.
Watch this spot for more drone videos as the project progresses. Get out there and get punched! It’s money in your pocket!! TIME IS RUNNING OUT BUY YOUR BRICK SOON!!! Want to be a part of this historical happening? The Downtown Brandon Alliance is continuing to sell bricks to be placed in the parks being redesigned during the project. Put a name, quote or memory that will be a part of Brandon forever! Businesses, clubs and organizations, be sure you’re literally represented in the foundation of Brandon!! Bricks for Brandon Parks will raise funds for the Downtown Brandon Alliance, which will allow the DBA to continue to promote the Brandon designated downtown core. We plan on continuing the program throughout the town. Click here for a pdf order form or click here to order your brick online!! or contact Devon Fuller at brandondba@yahoo.com. Also watch for bricks being sold at events and happenings here in town. winners of $50 in “Brandon Green”!! 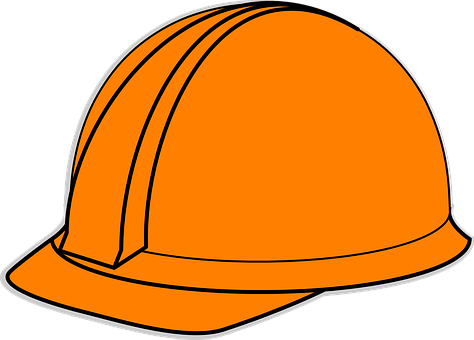 Pick up your $5.00 orange hard hat at the town clerk’s office and have the chance to win!! Sue Young-Walsh was our very first winner!! Buy a hard hat and have the chance every month, on the 4th Monday, to have one of our busy little select board members draw your name! We’ll have a drawing every month until the Segment 6 project is done. We’re working on other special events to put your hard hat to good use. Watch this space for details as we add new and fun ways for you to help our businesses, keep the downtown busy and active and maybe even win cash, gift certificates and more! Help us make an Even BETTER Brandon!! Select Board preparing for the inaugural $50 Brandon Green drawing! We hope you will stay current with us. Sign up here to receive Even BETTER Brandon e-newsletters. REMEMBER-NO PHONES IN THE WORK ZONES!